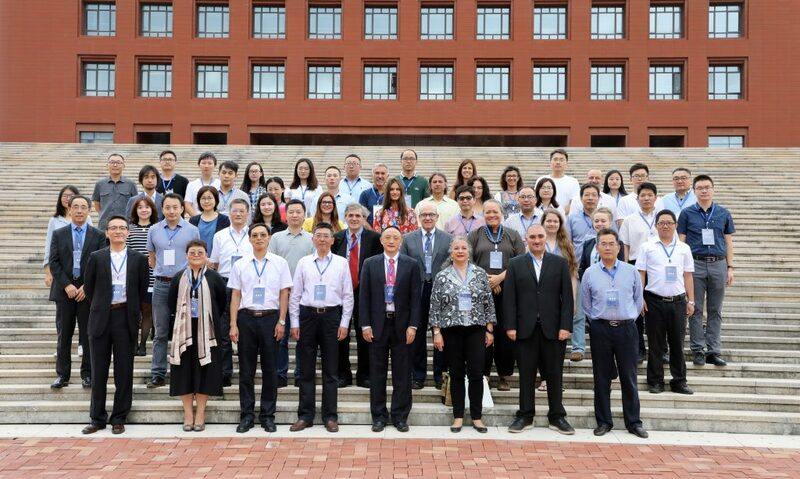 UH West Oʻahu’s Dr. Manu Aluli-Meyer was a keynote speaker at the Island Cities and Urban Archipelagos 2018 conference at Zhejiang University in Zhoushan, China. Aluli-Meyer, UH West Oʻahu Konohiki of Kūlana o Kapolei – a Hawaiian Place of Learning, gave a talk titled “Holographic Epistemology: Native Common Sense,” which examined how interest in indigenous knowledge is increasing and can play a role in responding to urban issues. The talk also focused on the depth of specificity found in Native Hawaiian understanding so that linkages to universal ideals can be accomplished by all. The conference carried the theme “Islands, Resources, Tourism, and Society – Sustainable Development under Globalization and New Urbanization,” and explored the role and realities of islands in an age of globalization and urbanization as well as how sustainable island futures might be envisioned. The interdisciplinary international conference attempted to explore a number of evolving issues for islands, including sustainable development, how indigenous islanders can flourish in the context of globalization, and how islands can play a central role in the world system without losing that which makes them special. The conference was held Sept. 26 to 28 on the campus of Zhejiang University’s Ocean College on Zhoushan Island. Zhejiang University, an institution that traces its history back 120 years, is considered one of China’s finest universities. Aluli-Meyer also served as chair of one of a conference session on Island Humanities Tourism. Other keynote speakers came from the University of Malta, Zhejiang University, the University of North Carolina at Chapel Hill. Workshops focusing on the unique role of Islands were offered from Spain, Italy, Greenland, Japan, and the Galapagos Islands. Papers from the conference are being considered for publication in the open access journals Urban Island Studies and Island Studies Journal. The conference was hosted by Zhejiang University, Zhejiang University of Technology, the China Institute for New Urbanization Studies, and the Marine Tourism Branch of Zhejiang Provincial Tourism Association. Tagged indigenous knowledge, Konohiki of Kūlana o Kapolei, Manu Aluli-Meyer, University of Hawaii West Oʻahu, www, Zhejiang University. Bookmark the permalink.